Milky quartz is a translucent to opaque white to light gray variety of quartz. It is not commonly used as a gemstone, but is commonly sold as mineral specimens. Refractive index, appearance, birefringence, optic character and optic figure. 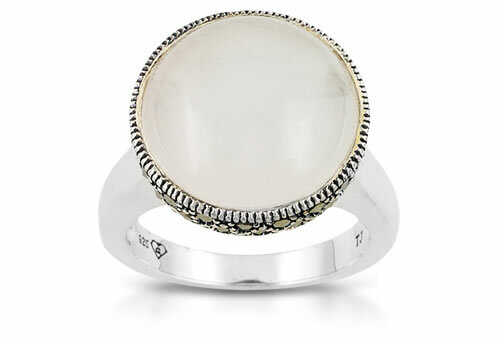 Misnomer: moonstone. Milky quartz is sometimes found with gold. CO2 or H2O inclusions in milky quartz give a milky appearance to the stone.